Great labels for handmade items. 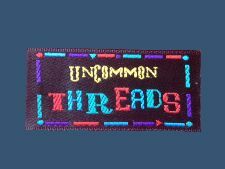 Our woven jacquard labels are made of innovative, finest polyester yarns; our art team is capable to create the best result of high definition woven labels, the prestige brand logo woven labels. The feedback from our customers are that our custom brand woven labels give a great aesthetic aspect, a soft touch, and vivid dynamic colours. Colour choices for woven label can define your brand’s value, strengthen and support your brand. Colour is far more than a simple aesthetic feature of your brand woven label. 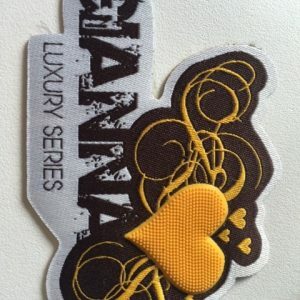 We produce labels for a group of luxury hats designers. We supply a wide range of woven labels styles for brand luxury collection of women’s designer hats. Our art team can create beautifully crafted bespoke bridal, fashionable, and vintage hats labels. A beautiful huge range of stylish, modern colours, customized sizes of woven labels to choose for your handmade cushions. Fantastic quality, low minimum to customize, and free UK delivery. Looking for a refined English elegant style of woven label for your handmade ties? All our custom-made woven labels are made of only the finest quality materials. The dedication and constant attention to detail that is given to the custom-made label is never compromised. We are one of the leading UK labels suppliers that can truly deliver a contemporary aesthetic, and a brand label features the latest trends for your precious handmade ties. Contact us today, our contact details are here; we will help you to create and custom a bespoke brand woven label for handmade items, hats, cushions and ties.